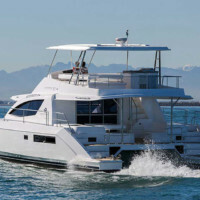 This Leopard 51 is available for private yacht charters in Phuket. Leopard Charter Phuket with Boat in the Bay Phuket. 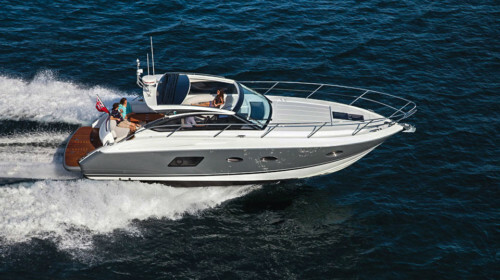 You will like this power catamaran for fast cruising, generous space, and wide selection of water toys. 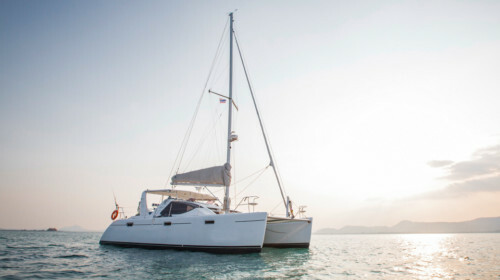 One of the most popular motor catamarans in Phuket, this Leopard 51 offers you a stable and fast cruising to any of the beautiful destinations around Phuket: Phi Phi Islands, Phang Nga Bay, Krabi area, Maithon and Khai Islands. And there is also our Secret Beach if you are looking for complete privacy combined with beach dining and fun activities. 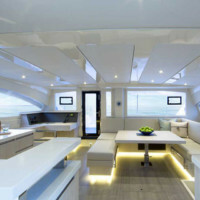 There is a huge amount of space and several large seating areas on this boat. 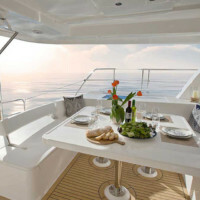 Outside, the aft deck features a large covered dining area, along with plenty of seating on the flybridge. 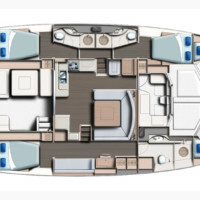 Inside, there are 3 double cabins. 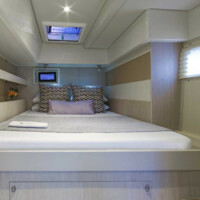 The starboard hull is where the master bedroom with a big en-suite bathroom is located. 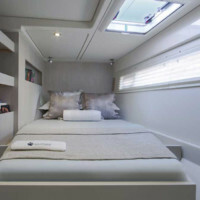 The port side has 2 double cabins, each with an en-suite bathroom too. 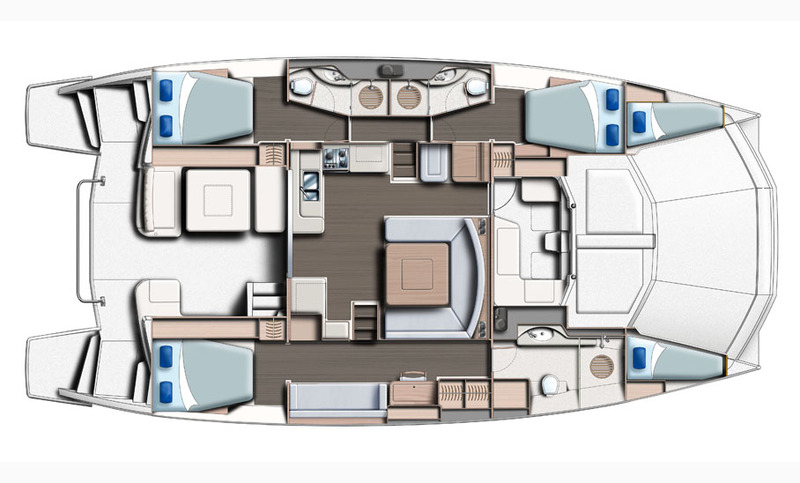 The Leopard 51 is operated by 3 crew: an extremely experienced captain, crew and a hostess who will look after you and take care of your cabins and your meals. 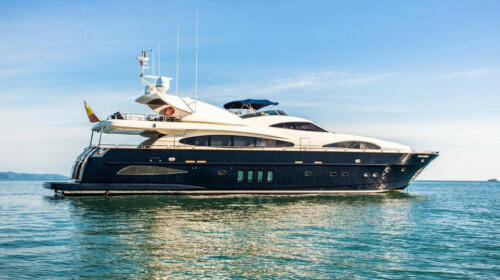 There are snorkeling and fishing sets on board, but what makes this boat truly special is a unique selection of water toys hard to find on any other charter yacht in Phuket. Our floating jacuzzi, kayaks, SUP board, water bike, Snuba equipment, and big slide from the top deck down to the sea will keep the guests of any age entertained all day long! 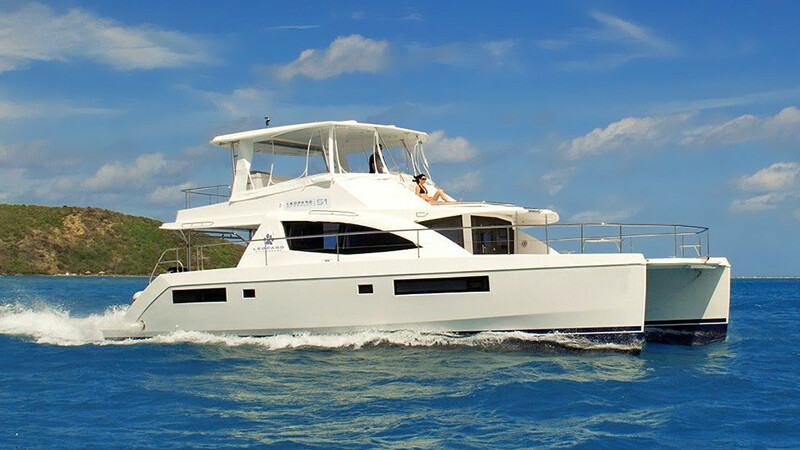 Contact Boat in the Bay today for charter inquiries on this Leopard 51 and other power catamaran charter options in Phuket.